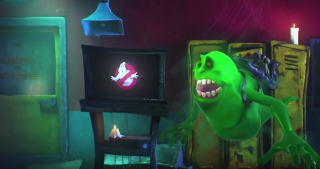 Activision is publishing a new Ghostbusters game to coincide with the forthcoming film reboot, and it's due in a matter of months. Now, hasty film adaptations published by Activision don't have a great reputation, but Platinum Games' recent Transformers: Devastation is reportedly very good, and the Teenage Mutant Ninja Turtles game coming up looks pretty promising as well. That might not hold true for this Ghostbusters game, though: for one, Platinum Games isn't working on it, and for two... well, there's a trailer above. It doesn't appear to have much connection with the film, but it'll be a four-player cooperative game and could be fun. That's just a teaser trailer, too, which means we'll probably get to see some more in the coming weeks. The game releases July 12.